Tomato is a fruit-vegetable that is widely used in cooked and raw dishes. Along with its infinite usage, it also carries health benefits. Rich in vitamin C this vegetable is very low in calories and fat. Though cooking tomatoes destroys vitamin C, cooked tomatoes unleash the beneficial antioxidant, lycopene. 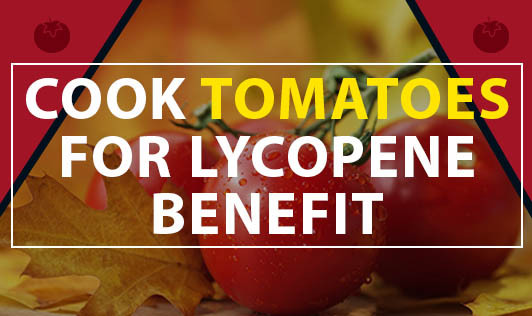 Lycopene is not an essential nutrient for us, but it may help in prevention of some cancers like prostate, lung, colorectal, etc. Research also suggests that lycopene may promote heart health. Lycopene might also protect the skin from UV rays. Do not use an aluminium vessel to cook tomatoes because the acid in tomatoes reacts unfavorably with aluminium.